On Tuesdays and Thursdays, I drive to Pacoima, in the San Fernando Valley. From Hollywood, it’s only 15 minutes in good traffic. I teach theatre at a charter school there twice a week. 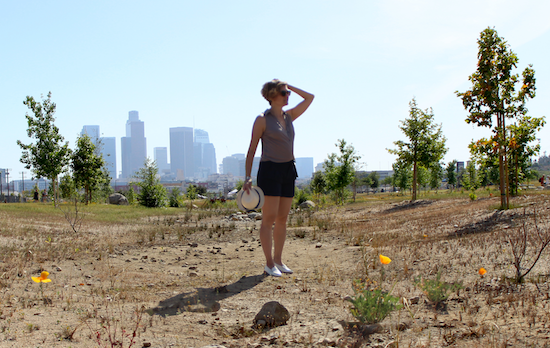 The air is hot and dusty in Pacoima, the streets are wide, and the trees are few. On Monday and Wednesday mornings, I work out of the LA Weekly offices in Culver City, on the West Side. I have meetings at Culver Studios on these days as well – near enough to be close, but not near enough to make the travel time between them disappear. The air is soft and moist in Culver City, the streets are illustrated with colorful storefronts, and the trees are green and many. Monday and Wednesday and Thursday evenings I spend at the University of Southern California, in Central L.A., in class or in meetings. The air is dirtier than dust, the streets are crowded, impatient, and the trees are exclusive to campus. Tuesdays have me at Culver Studios in the morning, and from there I drive to Pacoima in the afternoon, on the 405. The freeway isn’t terrible, in the middle of the day. The drive is quick, and I enjoy the passing view of The Getty, and Laurel Canyon. Is that Laurel Canyon? I’m not sure, but I like it. Its golden, rolling hills and hiding, curving roads makes me think of filmmakers and actresses. Thursdays have me driving from Pacoima, after my class, to USC. I check my phone first, to see if the 101 Freeway will be faster than the 5. Silly to drive all the way around if I don’t need to, but often I do. When I don’t, I inch past the Hollywood skyline – Capitol Records, Hotel Hollywood, the W, and wish it would all go faster. But just today. After today, don’t move, don’t change. Grow only in spirit, not in size.I get off at Exposition Boulevard, and am filled with promise at the sight of heavy brick academic structures: The California Science Museum, The Natural History Museum, the lower end of the University, its grandest entrance off the metro line. 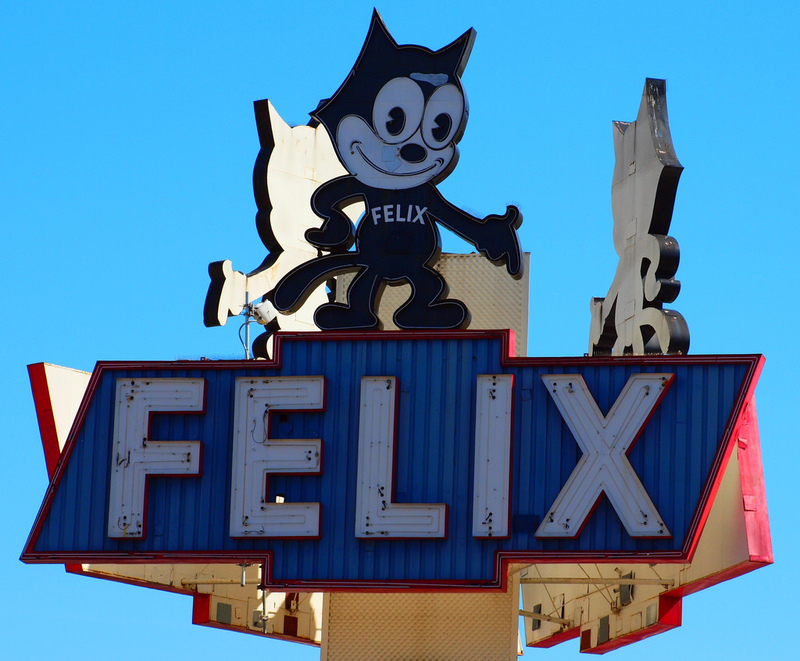 I turn on Figueroa and park near the Felix the Cat auto dealership. I still don’t know what kind of dealership it is, or why Felix is its mascot. I don’t care, as long as it always remains. Mondays and Wednesdays, I drive to USC from Culver City. I take Adams usually, sometimes Jefferson. Driving Adams is like navigating a box of crayons. Painted yellow carnicerias and blue mechanic shops, pink party supply shops, magenta-marquied dance halls and vibrant, multi-colored murals in green, overgrown empty lots greet me along the way, like celebratory bystanders of a marathon. Jefferson feels a lot like industrial North Brooklyn, but with faster traffic, and no time to see any of it. Muted red brick, cloudy white commercial glass, and rusted train tracks criss-crossed with nasturtium remind me of the distance I’ve journeyed. Fridays. Fridays I am asleep.